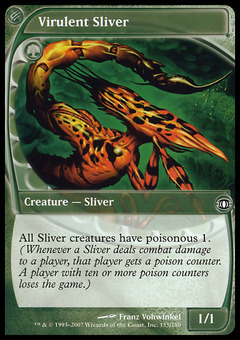 Riftsweeper ($29.99) Price History from major stores - Future Sight (Foil) - MTGPrice.com Values for Ebay, Amazon and hobby stores! 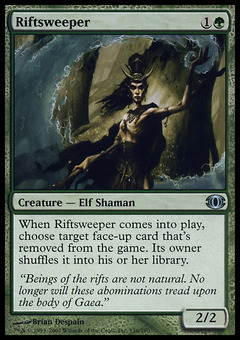 Card Text: When Riftsweeper enters the battlefield, choose target face-up exiled card. Its owner shuffles it into his or her library. Flavor Text: "Beings of the rifts are not natural. No longer will these abominations tread upon the body of Gaea."